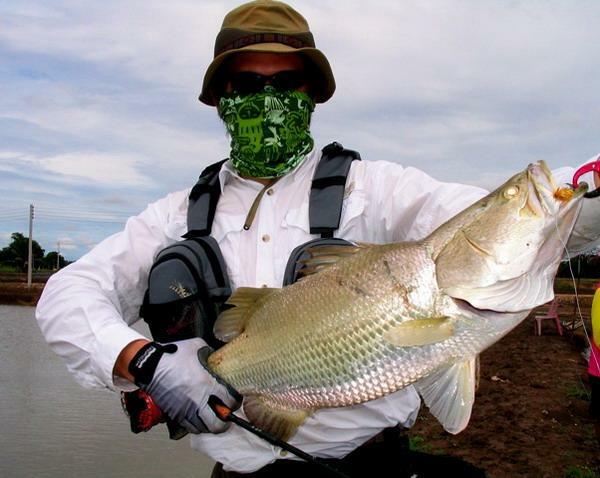 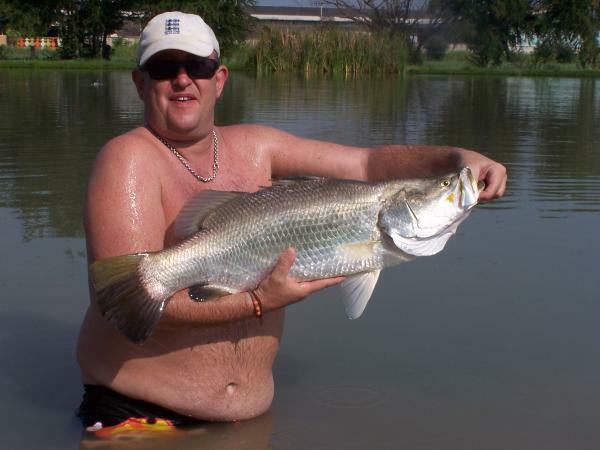 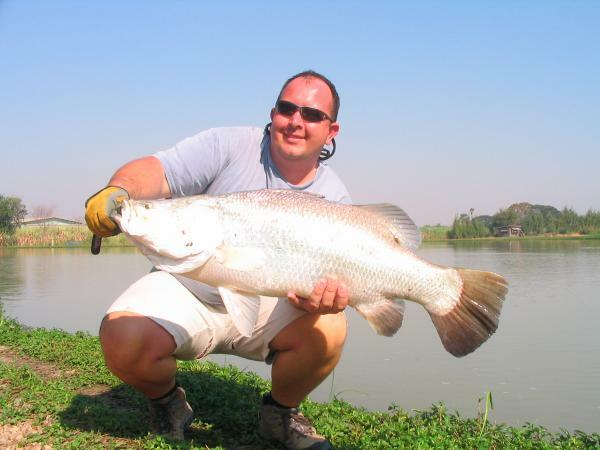 Big Barramundi caught whilst fly fishing at IT Lake Monster. 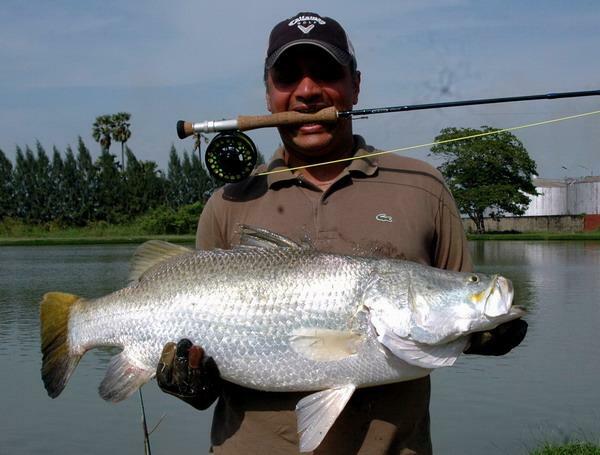 7kg Barramundi caught from Chachoengsao near Bangkok. 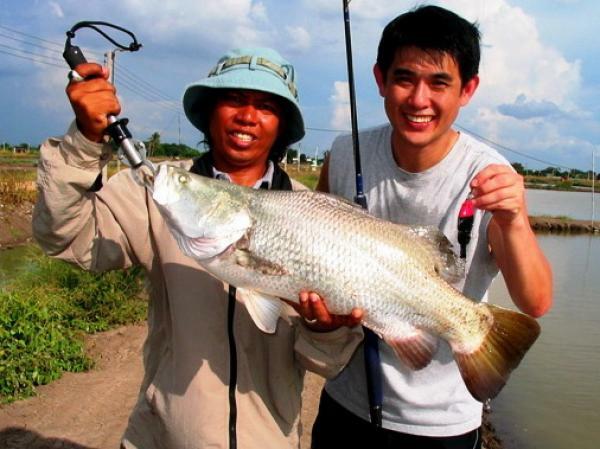 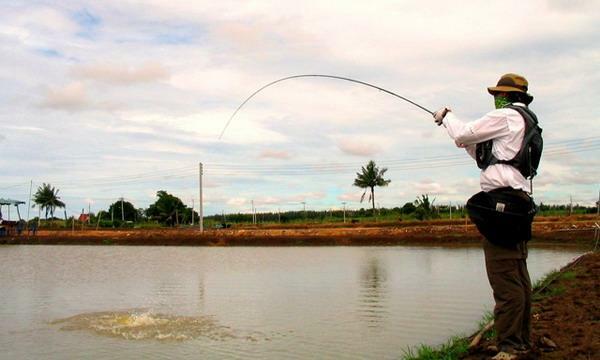 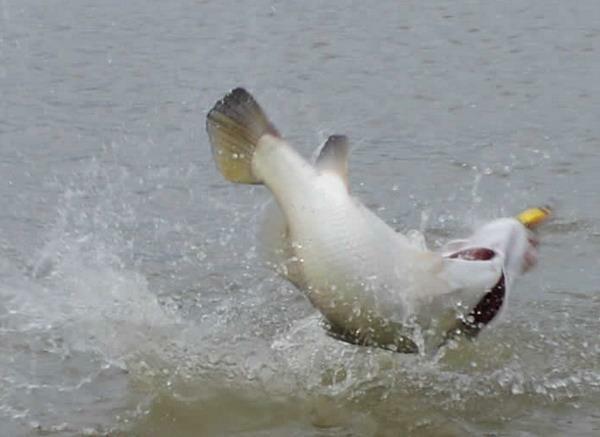 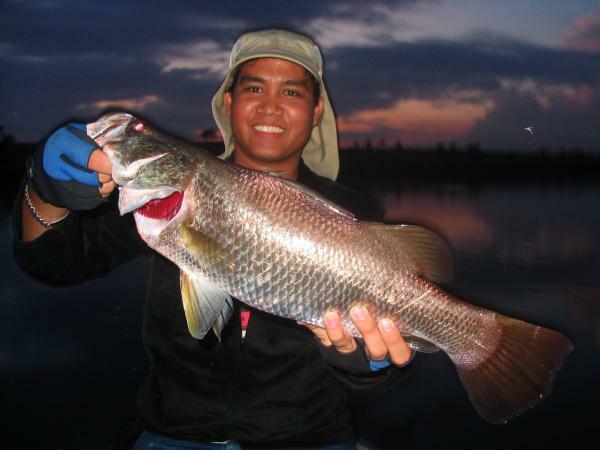 Non stop Barramundi action at the Barramundi ponds in Chachoengsao. 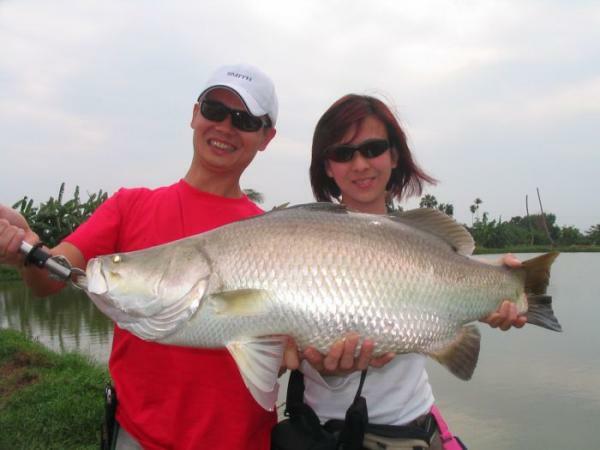 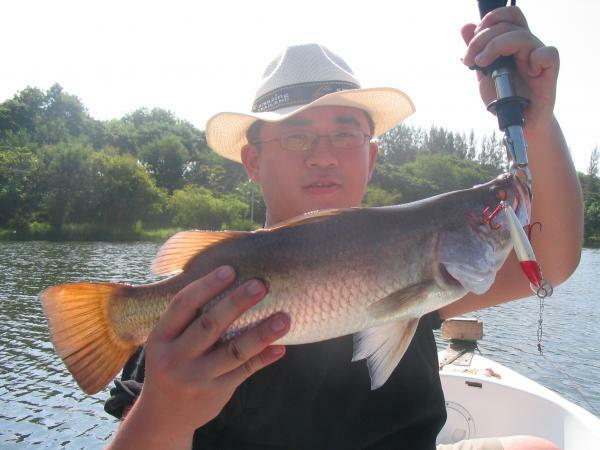 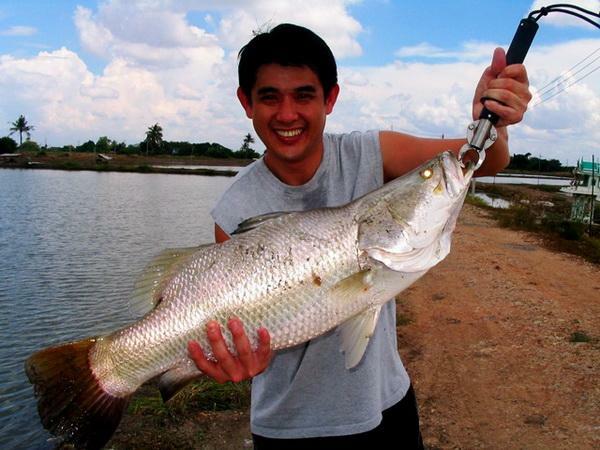 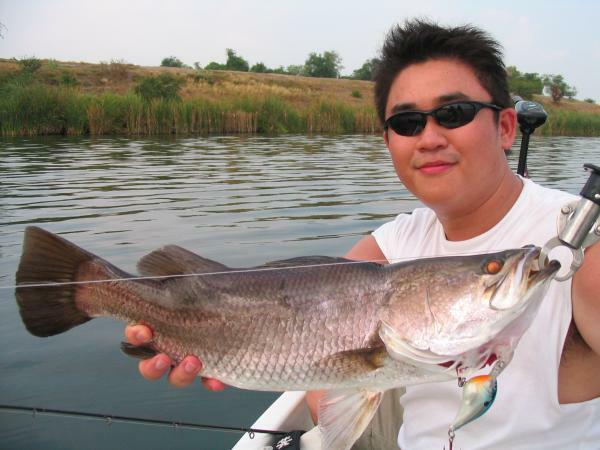 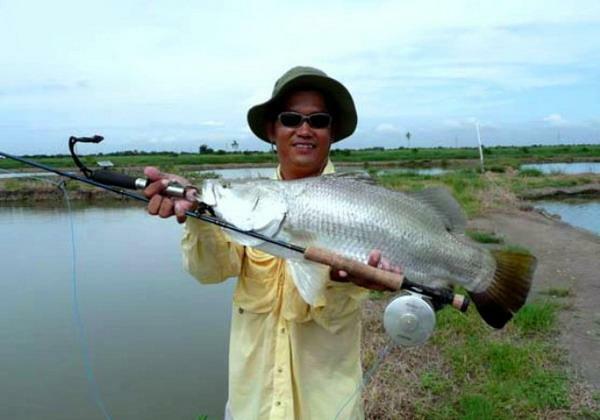 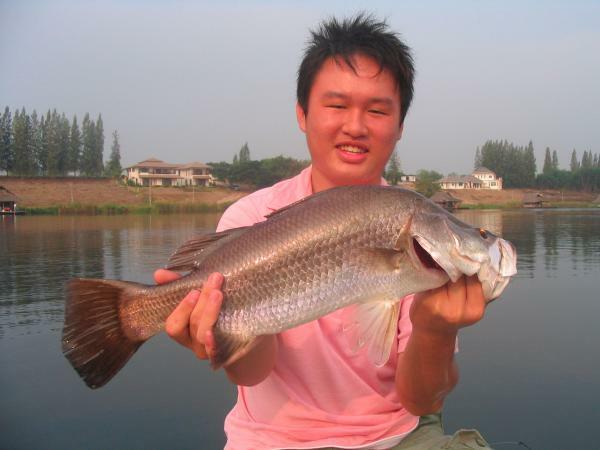 Big Barramundi caught by Ken Tan from Singapore. 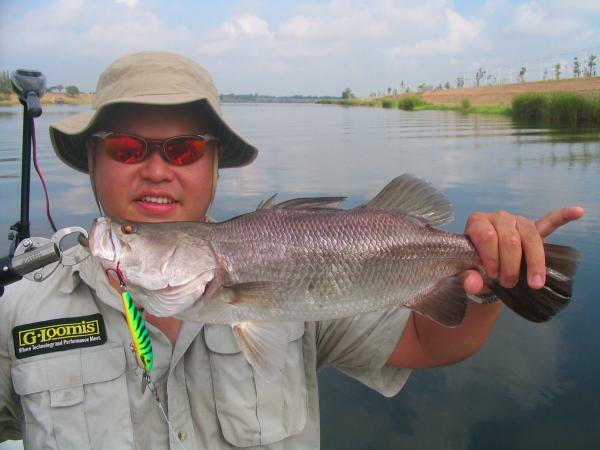 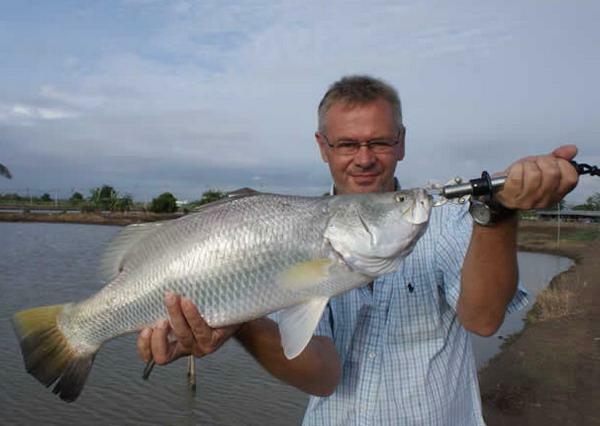 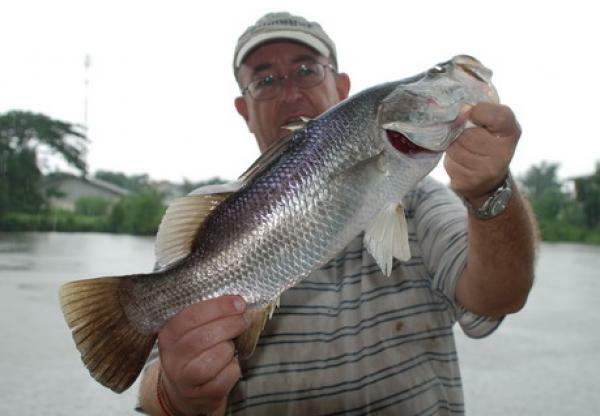 Small Barramundi caught from Now Nam Lake near Bangkok by Brendan. 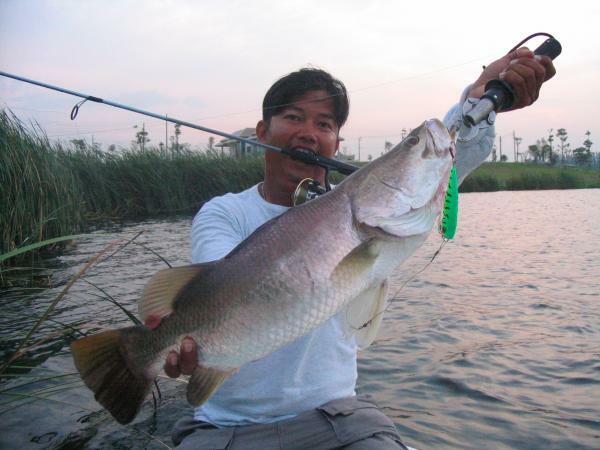 Lure caught Barramundi from IT Monster predator lake in Ratchaburi. 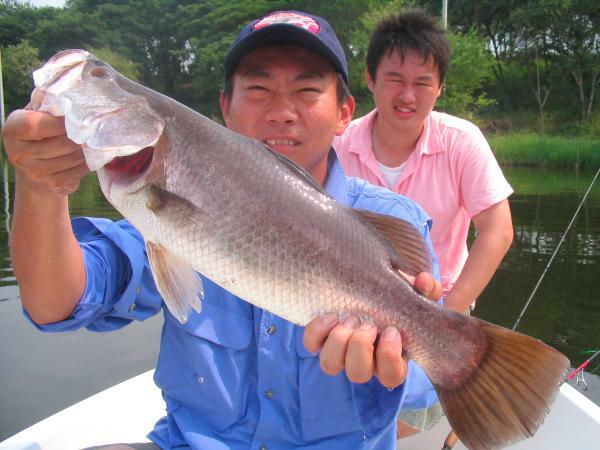 Lure caught Barramundi caught from Fishing World Lake in Minburi. 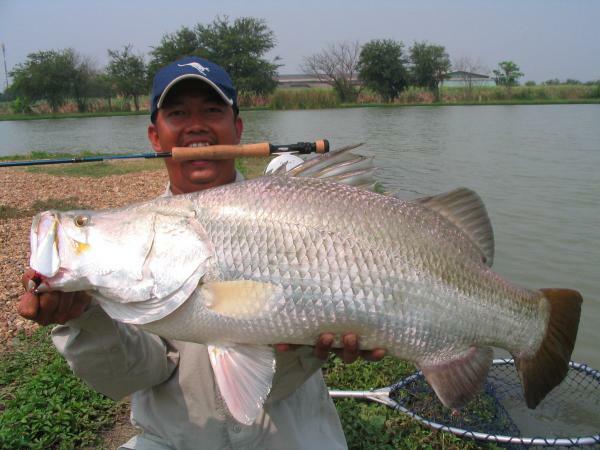 Barramundi caught from Fishing World Lake Minburi. 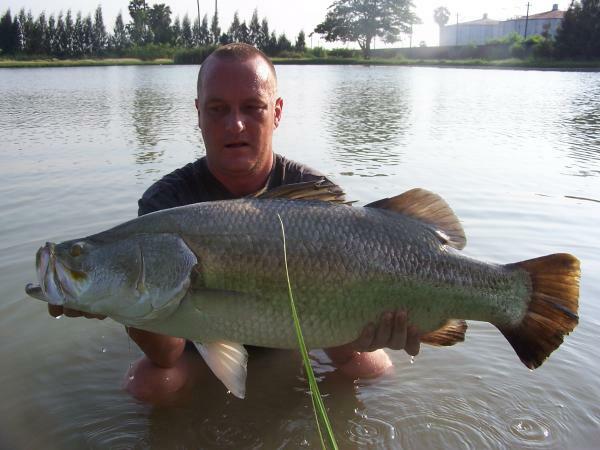 Big Barramundi caught from IT Monster predator Lake in Ratchaburi.